A great Affordable gift for Dad to take control of unwanted hair. With holidays fast approaching, finding useful and affordable gifts for dad can be a chore. One thing that just about every dad struggles with is nose, ear, eyebrow, neck, sideburn, and general hair grooming. 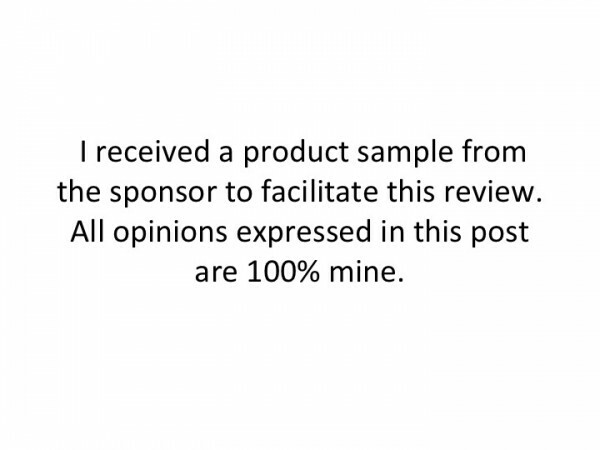 I have numerous tools for this task, and all seem specialized for just one use; that is until now. 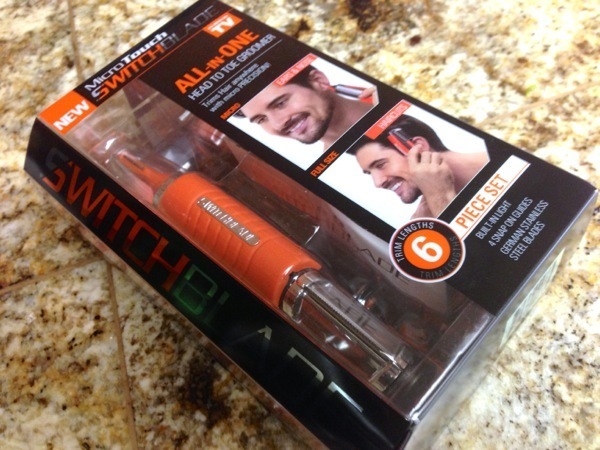 I recently received the opportunity to test out the new MicroTouch SwitchBlade™ Two in One total groomer and was super excited. The groomer runs on two AAA batteries making it easy and convenient for travel or day-to-day use. The SwitchBlade, as implied by the name, has two independent trimmers that provide a number of functions for total body grooming. You can trim, groom, and sculpt just about anywhere that hair resides on the body (talk about manscaping). I found the trimmer extremely useful in a number of areas. 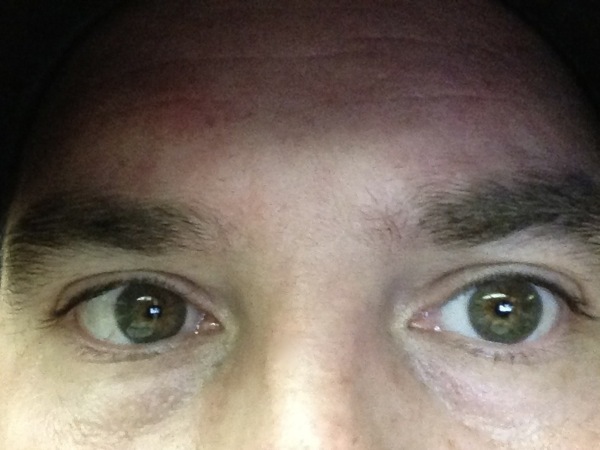 First and foremost one of the scariest areas for me to trim is my eyebrows. Whether I use scissors, a trimmer, or have someone else do it, I am always concerned about a simple slip or wrong move and I’ll end up looking like Vanilla Ice. I was reluctant, but put my trust in the MicroTouch and was pleasantly surprised. I used the 4mm attachment that came with the device and let the SwitchBlade™ do the work. The SwitchBlade even has a light that helps you guide your way for even more precision. Boy this thing really came through and left my eyebrows looking natural and pleasant; no more Andy Rooney Brows. Switching to the larger grooming blade allowed me to trim up around my head and neck, while switching back to the precision blade had me easily trimming my beard, nose hairs, ear fuzz, as well as an accurate trim around my ears and neckline. I found the precision blade definitely rivaled the precision I get at the barbershop. In all, I am really happy with the MicroTouch SwitchBlade™. It provides a number of functions not available in my other shavers, and at a price of just $19.99, it just can’t be beat. 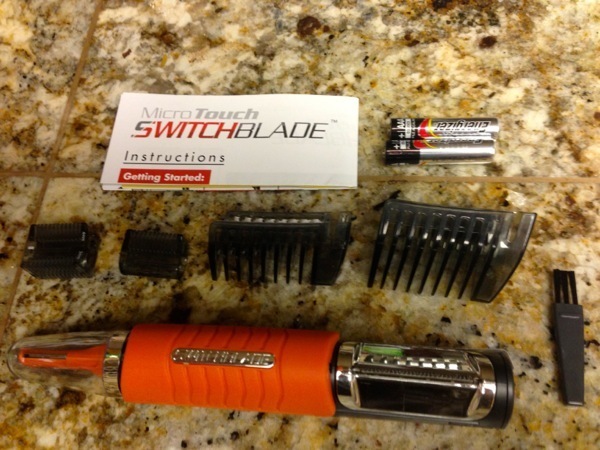 If you have a man in your life and are looking for an affordable gift for a birthday, holiday, or just because, you can find the MicroTouch SwitchBlade™ at https://www.getswitchblade.com/. This is a great product and leaves a kissable face!